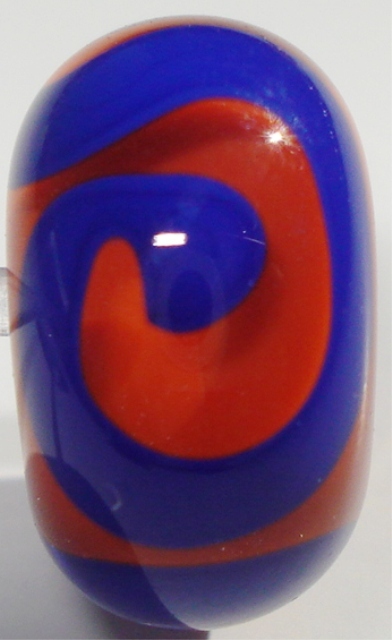 Transparent orange encased white core with a lapis blue swirl. Approx. size 9x14mm.